Encourage your kids to explore their neighbourhood by bike – it builds confidence and independence, and sets them up for a lifetime of healthy, active living. Getting the right-sized bike is crucial – children grow fast, but don’t be tempted to pick a bike that your child will “grow into” – if the bike is too big, then it’s going to be uncomfortable and difficult to control. How do I choose the right size bike for my child? For the best fit, we recommend measuring your child’s inside leg length. You can also use the age ranges below as an approximate guide. Then, use the size chart below to match your child’s measurements to the manufacturers’ recommended frame size. Rest assured that every bike size recommended below will allow your child to comfortably and safely place their feet on the ground. How do I measure my child’s inside leg length? Ask your child to stand upright with their back against a wall, in their socks. Place a book/ruler between their legs, level with their crotch. Then measure from the floor to the top of the book/ruler, in centimetres or feet and inches. My child is in between sizes – which one should I choose? Always choose the right size of bike for your child today – don’t be tempted to pick a bike that’s a bit too big, in the hope that your child will grow into it. If the bike is too big, then your child will find it uncomfortable and difficult to control. This can really knock a child’s confidence when they’re just establishing their bike-riding skills. Good quality kids’ bikes, like Frog Bikes, are fitted with a long seatpost, so there’s plenty of scope to move the saddle up as your child grows. 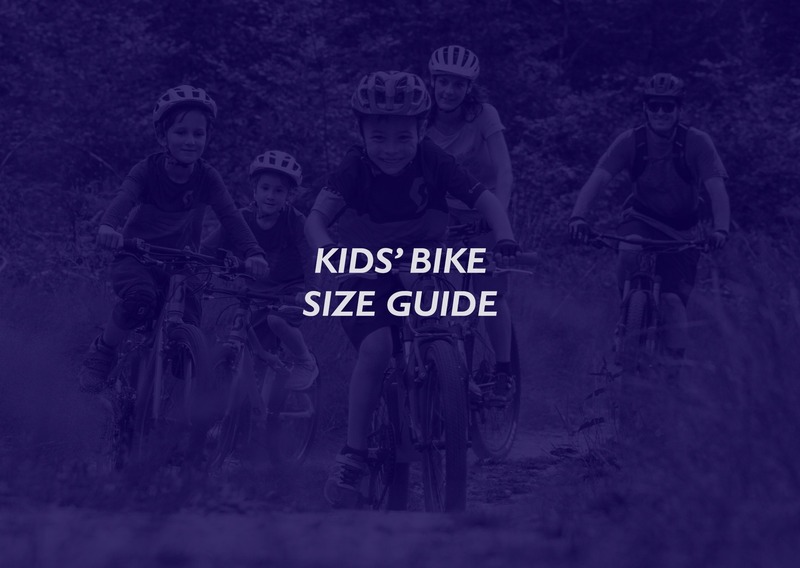 How are kids’ bike sizes calculated? Most kids’ bike sizes are based on wheel size; a few brands (eg. Frog Bikes) size by minimum inside leg length (so a Frog 52 is suitable for a child with an inside leg length of at least 52cm, and should continue to fit until the child’s leg length increases to 55cm. At this point, they can move up to the Frog 55). Rutland Cycling is the world’s largest Frog Bikes dealer, and we stock many other kids’ bikes, too. 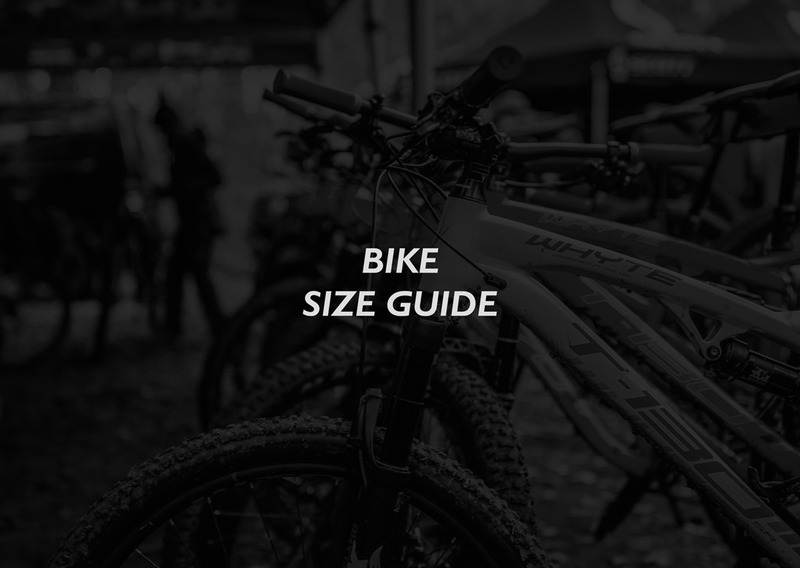 If you’re buying a kids’ bike online, then the information above will help you order the right size child’s bike. For ultimate peace of mind, we offer a 90-day returns policy (for unused products), and a 30-day test ride*, so if the bike isn’t right for your child after having ridden it, you can exchange it for another model. If live nearby, you can visit any of our stores, where our helpful staff are fully trained in the art of children measuring. *Not available on sale items, or items purchased on Finance.